Founded by Dr. Raven in 2008, the mission of the Dupuytren’s Center of California is to provide education and comprehensive treatment options to people with Dupuytren’s Disease. 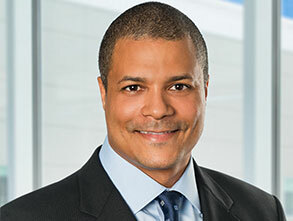 Dr. Raven is skilled in all three treatment options currently available, which include XIAFLEX® injection therapy, needle aponeurotomy and surgical fasciectomy. Prior to March 1, 2010, Dr. Raven was the only hand surgeon in California experienced in all three methods of treating Dupuytren’s disease. As a principle investigator during Phase II clinical trials, Dr. Raven gained early clinical experience using XIAFLEX®, treating 31 patients with the drung before it was commercially available. Dupuytren’s disease is an abnormal thickening of the fascia (the tissue just beneath the skin of the palm). It often starts with firm lumps in the palm. 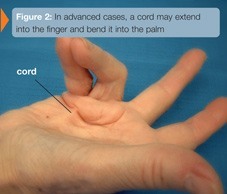 In some patients, firm cords will develop beneath the skin, stretching from the palm into the fingers (see Figure 1). 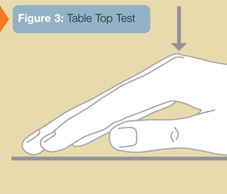 Gradually, these cords may cause the fingers to bend into the palm (see Figure 2). Although the skin may become involved in the process, the deeper structures—such as the tendons—are not directly involved. Occasionally, the disease will cause thickening on top of the finger knuckles (knuckle pads), or nodules or cords within the soles of the feet (plantar fibromatosis). 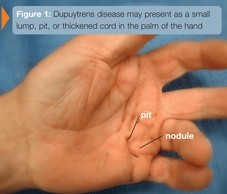 Symptoms of Dupuytren’s disease usually include a small lump or series of lumps and pits within the palm. The lumps are generally firm and adherent to the skin. Gradually a cord may develop, extending from the palm into one or more fingers, with the ring and little fingers most commonly affected. These cords may be mistaken for tendons, but they actually lie between the skin and the tendons. In many cases, both hands are affected, although the degree of involvement may vary. Dr. Raven will discuss the method most appropriate for your condition based upon the stage of the disease and the joints involved (see Figure 4). 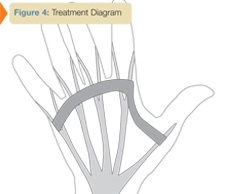 The goal of treatment is to improve finger position and thereby hand function. Despite treatment, the disease process may recur and the fingers may begin to bend into the palm once again. Before treatment, Dr. Raven will discuss realistic goals and results. Please click here to schedule a consultation with Dr. Raven.